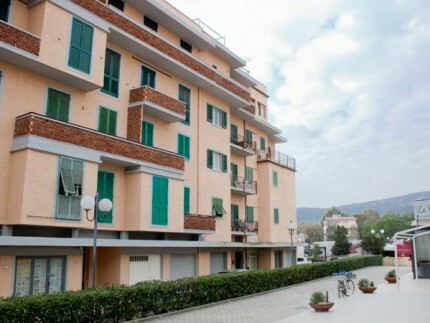 The studio apartment on Elba Island Casa Bartolomea 6 is located in a strategic position just a few steps from the pedestrian avenue of Marina di Campo and is ideal for tourists who want to get around on foot: the beach is only 50 metres from the apartment! 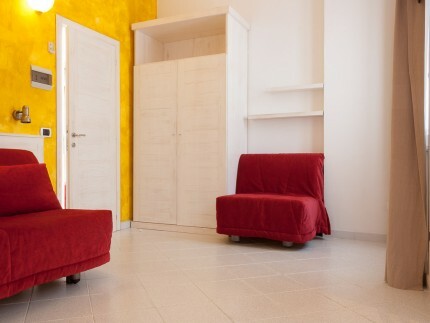 Tastefully decorated, the apartment Bartolomea 6 comprises a living room with kitchenette and double sofa bed, a bathroom with shower, and is fully air-conditioned. 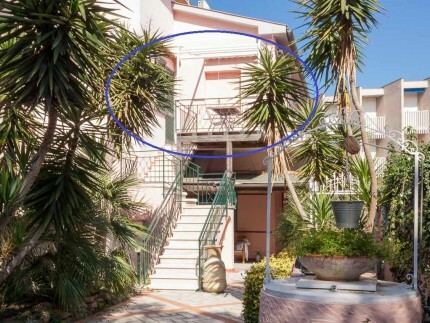 Outside, on the shared balcony, guests have reserved access to a table with chairs and awning. The studio apartment and balcony offer a beautiful view of the sea. Laundromat to disposal. Marina di Campo is one of the most appreciated tourist destinations of Elba Island with its long golden beaches and thanks to the lively atmosphere of the town: the pedestrian avenue full of shops, bars and restaurants is ideal for walks and entertainment, whether by day or night.